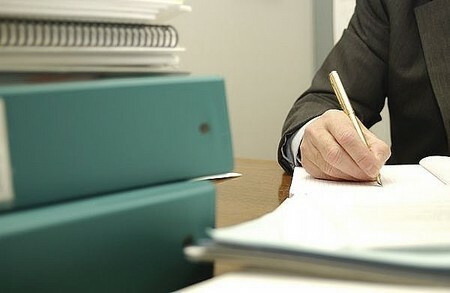 An executive summary is very important to communicating intra business policies and changes. An executive summary summarizes the main points of a full report. An executive summary summary is written for people who are laymen and not technical savy. These people normally don’t have the time to read a fully detailed main report. The summary affords the reader the major pieces of information to familiarize themselves with the new policies discussed without having to spend the amount od time it would take to read the full report. Here is how you can write an executive report for your employer own self owned business. When you find that you have the ned to write abusiness report hat exceeds four pages in length, plan to write an executive summary for that report. Write the executive summary after the full report so you can make sure that the summary is not longer than 1/10 of the total length of the full report. Prepare a table of contents. You should list the main points the summary will entail. The itemized listing should be in the same order that it appears in the full length summary. Detail each of the main points that appear in your executive summary. Do this my writing a simple declarative statement for wach of your main points. For every point included in your executive summary add supporting statements. Clarify each point by adding explanatory content. Make every effort to leave off any unnecessary language. All technical material and jargon should be left out of this summary as well. Check your work when you are writing and when you are finished. Read your summary content slowly and with a critical eye. Make sure your phrases and words are simple and to the point. Make sure your main ideas are clearly expressed and your purpose and message is not masked with unnecessary jargon. You want the reader to be able to glance over the executive summary without missing the important main points. Proof read your work. Check for common errors like spelling, grammar and punctuation mistakes. You can ask another writer to proofread and edit your document for you. This will help catch mistakes that you may have overlooked yourself. As a layman to read your work. For example you can ask a friend to read over your summary. Ask them how they feel about it. If it is confusing and not clear to them, then you need to revamp your summary. Keep in mind this summary is meant for laymen people. So, if it doesn’t pass this step chances are you need to edit the document.